via - Non Stop Koyambedu Rountana, Poonamallee Bye Pass. via - Non Stop Poonamallee Bye Pass. via - Non Stop Tambram Ex Highway, Poonamallee Bye Pass. 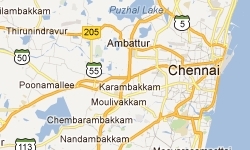 via - Non Stop Tambaram Express Highway, Poonamallee Bye Pass. via - Non Stop Thambram Ex Highway, Poonamallee Bye Pass. via - Non Stop Tambaram Express Highway Poonamallee Bye Pass. via - Non Stop Lucas, Wavin, Tambaram express highway, Poonamallee Bye Pass. via - Non Stop Padi, Wavin, Tambaram Express Highway, Poonamallee Bye Pass. via - Non Stop Padi, Wavin, Tambaram high way, Poonamallee Bye Pass. Express Highway, Poonamallee Bye Pass. via - Non Stop Koyampedu Roundatana, Poonamallee Bye Pass. via - Non Stop Porur, Poonamallee Bye Pass. via - Non Stop Kathipara, Porur, Poonamallee Bye Pass. via: Non Stop CPT,Mathyakailash, Gandhi Mandapam, Guindy,Porur, Poonamallee Bye Pass. via: Non Stop Poonamallee Bye Pass. via: Non Stop Porur Poonamallee Bye Pass. via - Non Stop Saidapet, kathipara, porur, Poonamallee Bye Pass. via - Non Stop Bangalore high way.